KISSopolis: KISS Headline Massive Rock Fest Tonight! KISS Headline Massive Rock Fest Tonight! 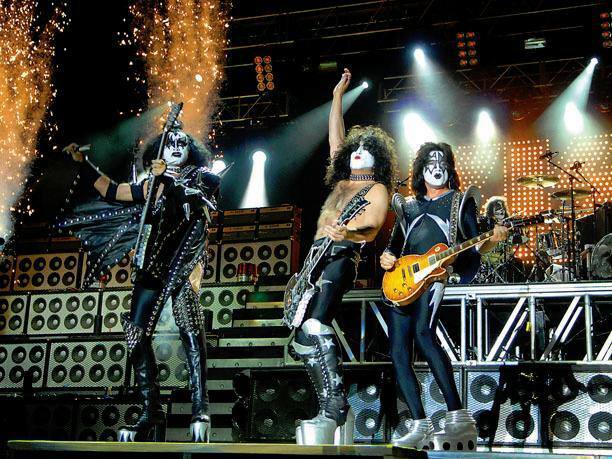 In the photo: KISS thrilled the record-setting Rock Fest crowd on Saturday, July 21, 2007 in Cadott. Photo by Shane Opatz / Leader Telegram. KISS returns to the massive Rock Fest in Cadott, Wisconsin tonight! The band will hit the stage at 11 PM.